Mayor Martin J. Walsh was in Manchester, N.H., last week for an event with other Massachusetts Democratic party members to support Hillary Clinton. Joining opponents of a natural gas pipeline under construction in West Roxbury, Boston Mayor Martin J. Walsh said Wednesday he will appeal a decision by federal regulators that allowed the controversial project to continue over the objections of nearby residents. A subsidiary of Houston-based Spectra Energy Partners LP began construction last year on the so-called West Roxbury Lateral pipeline, a five-mile spur of a larger, $1 billion project to increase the capacity of New England’s largest natural gas pipeline. Last week, the Federal Energy Regulatory Commission, or FERC, rejected a raft of complaints from neighbors and other pipeline opponents who say the project is environmentally irresponsible and passes dangerously close to a quarry in West Roxbury whose operators use dynamite to excavate stone. The FERC’s decision to deny the “request for rehearing” filed by opponents meant an appeal in federal court was the only remaining option to challenge the project. 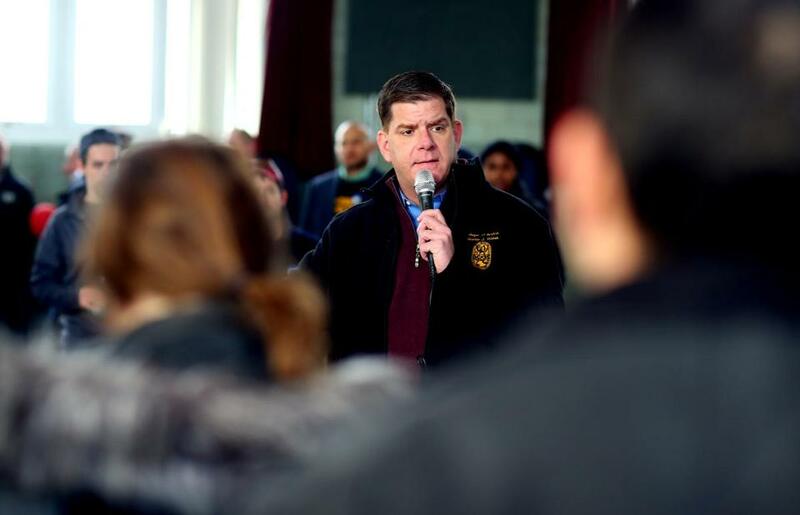 Walsh’s office said it would file such an appeal by the end of March. Officials said the appeal would question the siting of the pipeline near the quarry and a residential neighborhood. Spectra did not immediately respond to requests for comment. The pipeline, approved last March, will deliver natural gas to National Grid, Eversource, and other energy distributors. The companies have said the pipeline is needed to meet demand. The new line will run beneath Centre, Grove, and Washington streets in West Roxbury as well as through Dedham and Westwood. Construction on the Dedham segments began last year, as did work on a metering and regulation station near the quarry. Construction on the West Roxbury portion of the pipeline itself won’t resume until mid-April because of a ban on digging up Boston roads during winter. at dadams@globe.com. Follow him on Twitter @DanielAdams86.